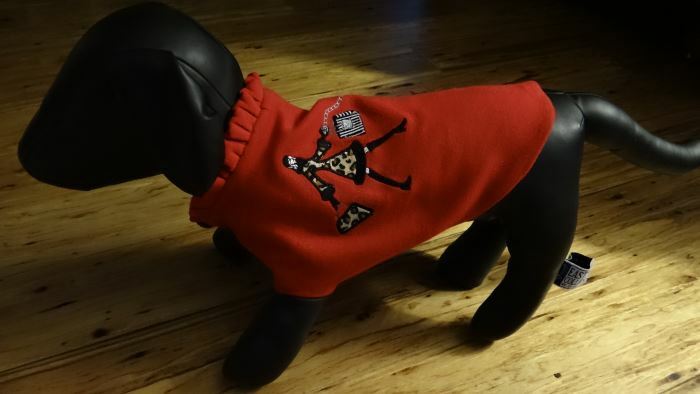 This Red Fleece Dog Coat With Woman Walking A Poodle in Small Size is a classy coat. 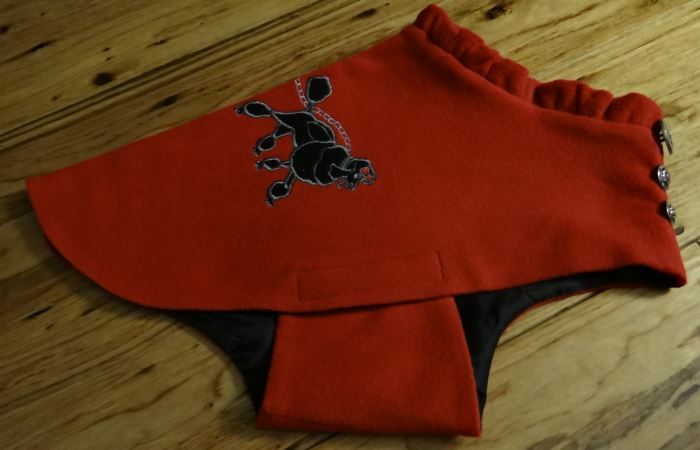 It was a designed original by Bark Avenue Dog Boutique for the uptown girl puppy. 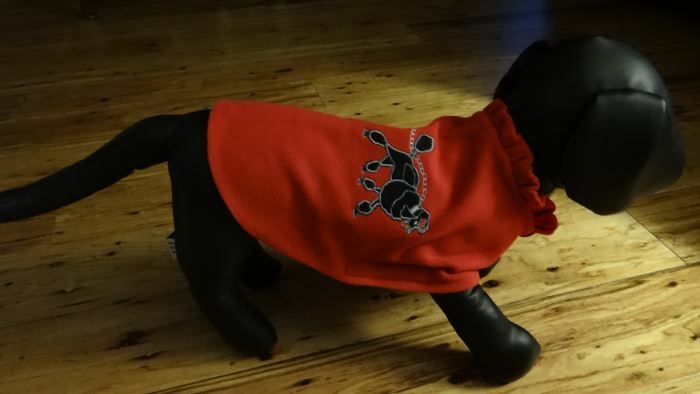 Being a Bark Avenue original, you will never see another coat like it anywhere. 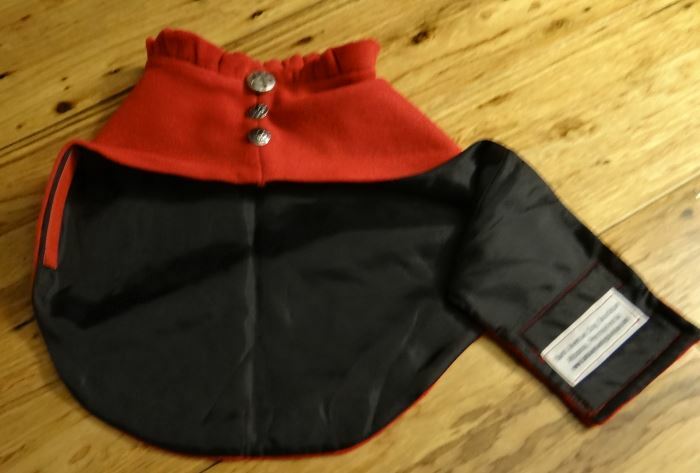 The Red Fleece Dog Coat With Woman Walking A Poodle is made and designed from a quality fleece shirt the coat is bright red in color. 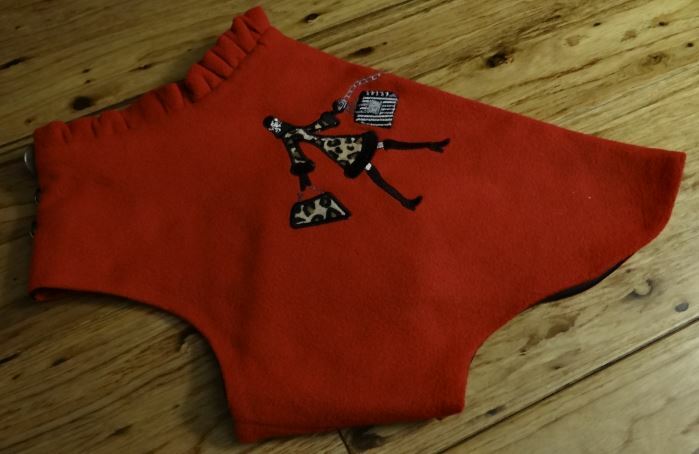 We used some of the red fleece, gathered it and created the ruffled decorative neckline. 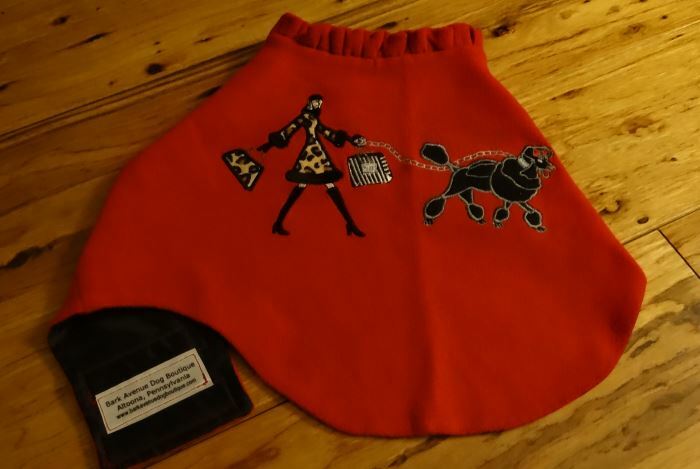 The back of the coat features a lady with her purse and shopping bag walking her groomed standard poodle. 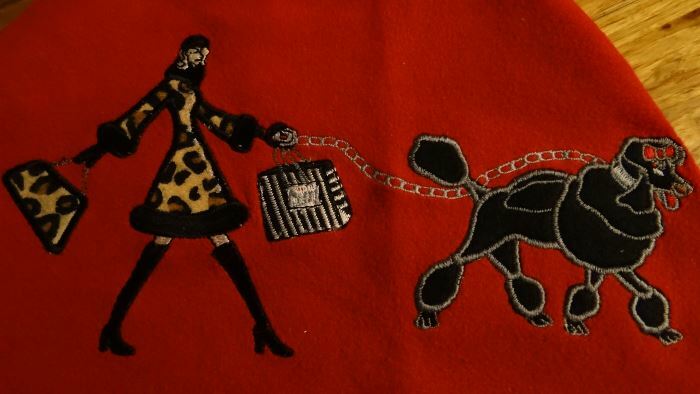 Her leopard coat, her purse and the poodle are appliquéd of fleece fabric pieces and machine stitched along the edges. 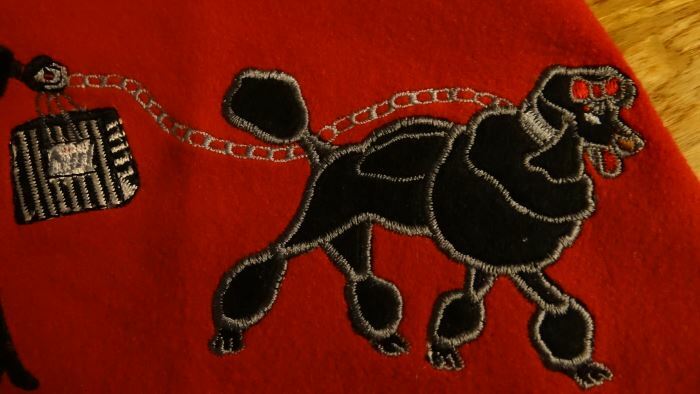 Her face, hat, boots, shopping bag and the dogs chain are machine stitched. This is a quality piece of work. 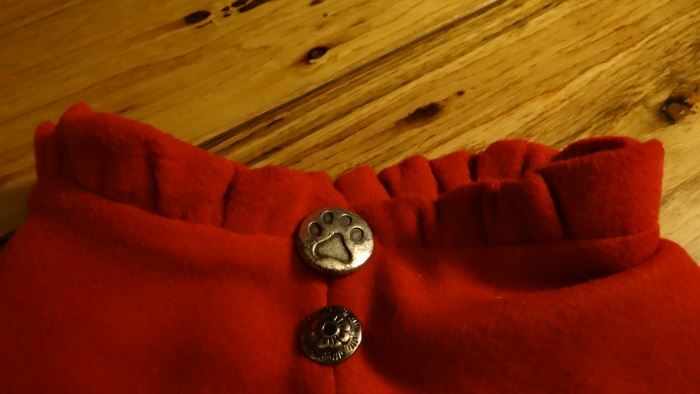 Embellishing the front of the neck are three pewter buttons. The large button is a paw print and the two smaller ones are flowers. 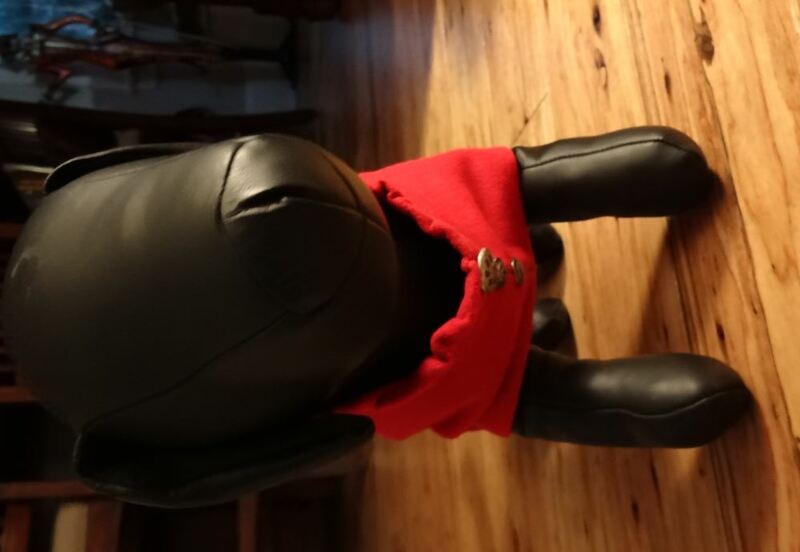 The coat is fully lined with a black polyester fabric. 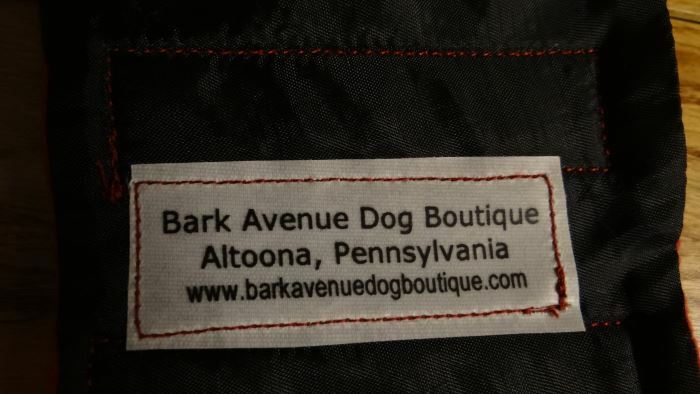 The Bark Avenue Dog Boutique labels stitched inside of the coat. The measurements are 12” around the neck, 10 ¼” from the back of the neck to the edge of the coat and 18” around the tummy.